Help Team Michigan get to the National Finals in Washington, D.C.! 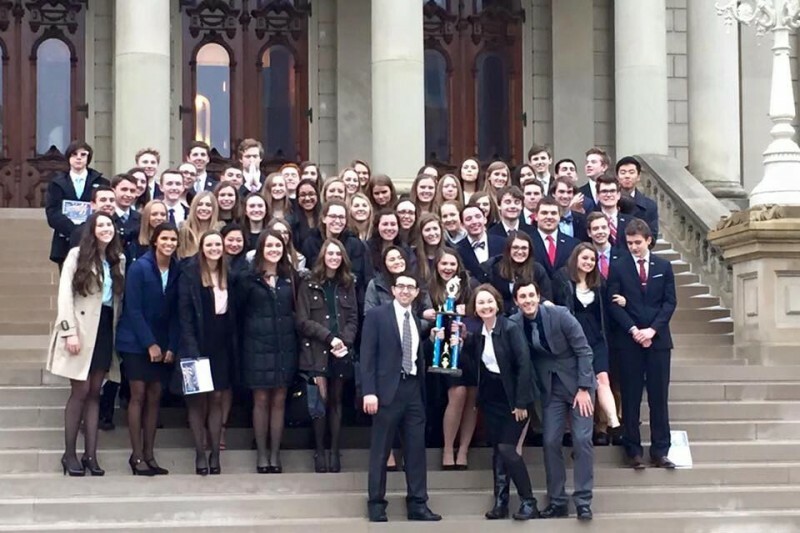 On January 8, 2016, the East Grand Rapids We the People team brought home both a state championship and the honor of representing the state of Michigan at the National Finals! The team has to raise almost $90,000 to attend, and we need your help! Please consider a tax-deductible donation and please post this for all of your friends! WE ARE MICHIGAN! We are leaving for nationals in just over a week!! We are still short of our fundraising goal, so if you have been putting off making that donation, now is the time! Thank you SO MUCH for your support of this nationally-renowned ACADEMIC team! We are still short of our fundraising goal! Please consider a donation today! We are holding our demonstration night this evening at 7:30 pm in the EGR performing arts center. Come see us in action! My older brother, TJ Strickland, Unit 4, graduated in '14 and was IN LOVE with Weeple! I'd be more than happy to make a donation!